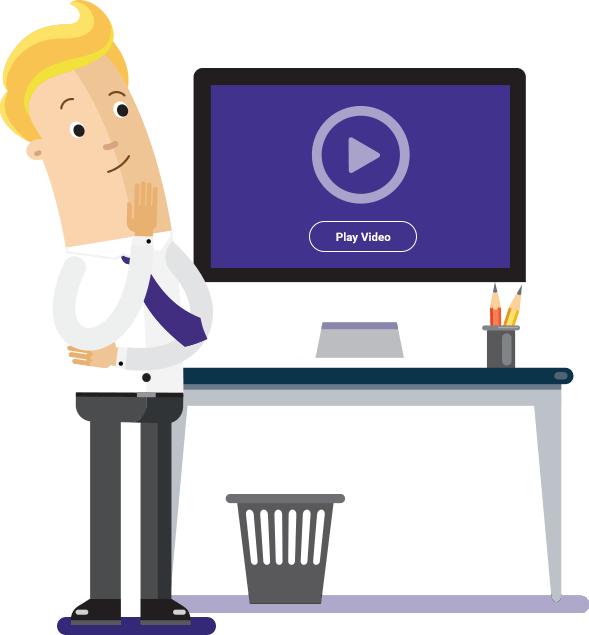 Are you struggling to execute your channel strategy? 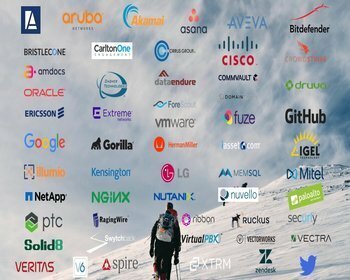 Vendors leveraging the channelIT platform gain access to a suite of flexible, scalable and secure channel enablement capabilities delivered in a SaaS model. 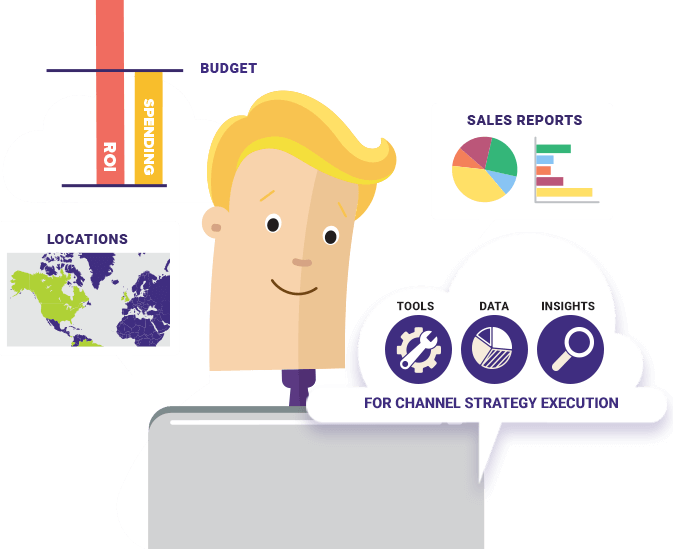 These modules enable rapid execution of channel programs, promotions and initiatives, globally or locally, through all tiers of the channel with minimal investment. 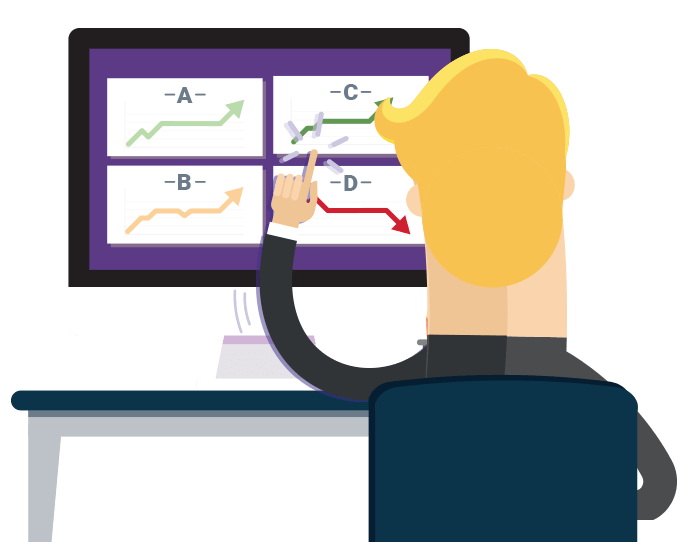 Imagine having real time metrics on how channel programs are performing! 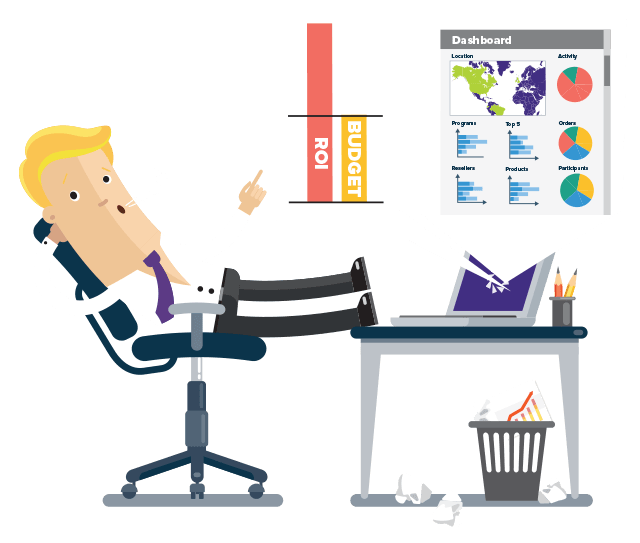 Our ground breaking solution, channelIT, allows users to see which partners accessed sales promotions and programs, what was viewed, the offers picked, the value and quantity of their selections and which distributors were utilized, all through a simple, easy to use dashboard. Even more importantly, our metrics show which partners did not participate, allowing you to quickly assess the reasons why and adjust your offer on-the-fly to ensure success based on real-time market performance. This new and disruptive technology is changing how vendors manage channel offers and is leading the way on eliminating the old approach of ‘spray & pray’. The old rule of only being able to manage what you measure has never been more real then when managing the ROI of channel promotions. Until now it has proven impossible to accurately measure and deliver the expected ROI. 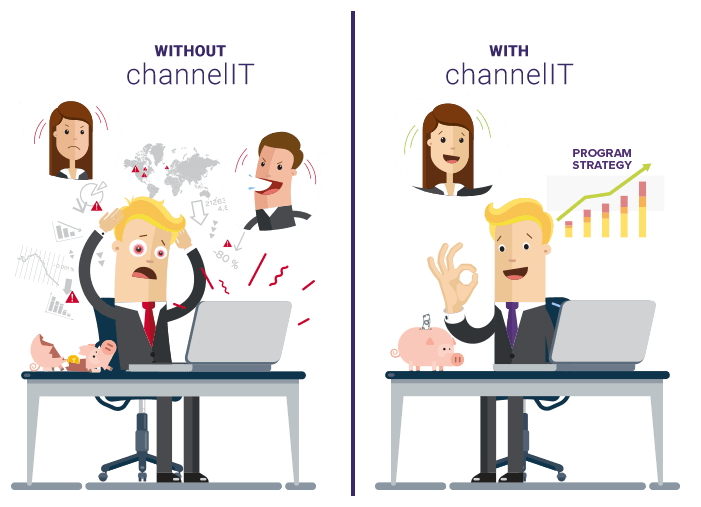 channelIT offers a unique solution to allow users plan, manage, measure and achieve their desired ROI results in real-time. 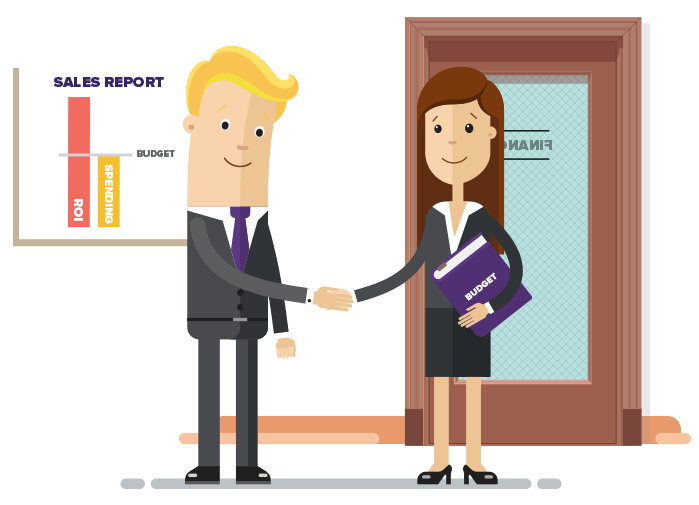 Our disruptive solution examined the age old problem of measuring ROI from a new perspective and no longer relies on antiquated reports to show program ROI. Providing users with the ability to manage ROI up front and in real-time, brings a new dimension to channel programs. 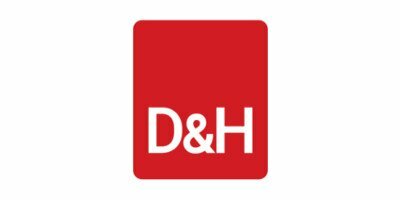 Sales ideas once considered impossible to measure and quickly discarded, are now a reality and are changing the way vendors take offers to market through the channel. Accurately tracking expenditures for channel sales programs is a task typically given to Finance due to its complexity. Rather than risk having a great sales idea stopped because finance want to ensure budgets are adhered too, they’re often put to one side or fudged by using spreadsheets to manage them. But imagine a solution that allows a sales team to execute ideas while guaranteeing programs stay within budget. The channelIT platform does just that, through a simple user interface that allows you to quickly assign a budget to a program. It ensures measurement throughout the offer life cycle and allows adjustment of the budget based on how the market is reacting to the offer. Releasing a new sales idea typically takes weeks to achieve and being in a situation where you come under competitive attack, with management needing a quick solution, can be a very pressurized place to be. Add to this the lack of tools and data insights, means it can take weeks to analyze before responding. All while the competition makes inroads on your market share. Vendors utilizing the channelIT platform can react in hours, gaining an immediate competitive advantage as a result. Our automated platform, with real time data analytics, puts vendors in a position to quickly respond to competitive attacks, or go on the offensive, ensuring no loss of market share or better still, enabling market gains. The ever changing landscape of the channel ecosystem rewards vendors that get the right offer, to the right partner, at the right time. Few do this successfully. Ensuring great sales ideas are executed successfully comes down to how well the offer is delivered to the correct audience. The ability to segment the market and be infinitely targeted with the delivery of a channel program is now a business necessity. Using our unique level of automation, channelIT allows vendors to segment markets with a laser like focus. Managing variables such as products, geographies, partner types, discounts and distributors, channelIT ensures the right offer gets to the right target at the right time. The success of any channel program depends on the partners that ultimately take it to the end customer. Ensuring partners are rewarded for their efforts is fundamental to any offer. Ease of doing business is incredibly important for partners. Ensuring they only see what is relevant to them, in a timely fashion, makes a fundamental difference by increasing stickiness, driving repeat business and creating loyalty. Having the ability to differentiate partners based on attributes like revenue, geography, certification level and program tier is now an essential requirement for vendors leveraging the channel as their go-to-market model. channelIT delivers this capability, allowing vendors to differentiate partners to levels of granularity never before seen. The evolution of technology has created new demands on partners and vendors to deliver end-to-end solutions for consumers. Offering individual products and expecting end users to do the rest is no longer acceptable. Yet developing solution bundles creates challenges in ensuring correct pricing, dealing with market variations and ensuring technical compliance. 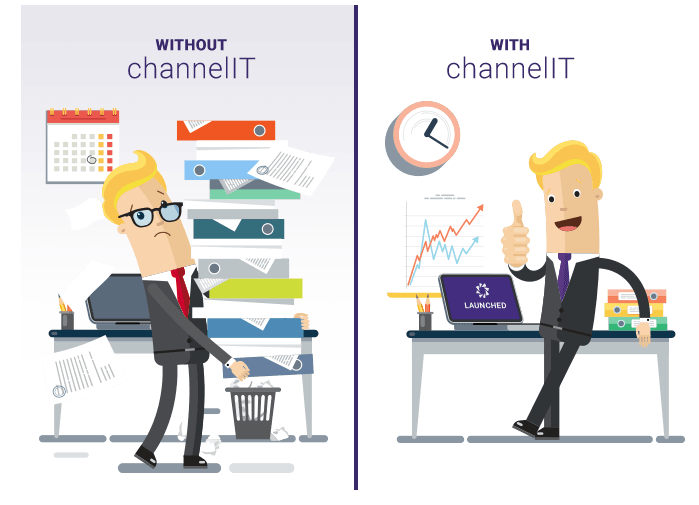 channelIT provides a first to market capability to enable vendors to release solution bundles, in an easily consumable way, to the channel for single and multi-vendor solutions. 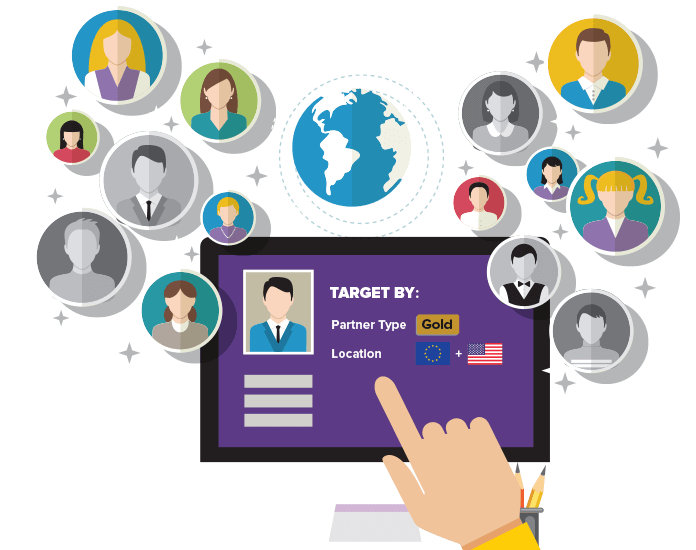 Having the ability to target a promotion for a particular solution bundle or target a particular vertical or group of partners allows vendors to get ahead of the competition by truly meeting the demands of partners and end users. Ensuring channel partners receive correct program entitlements while ensuring no partners over-subscribe requires quite a balancing act for vendors. 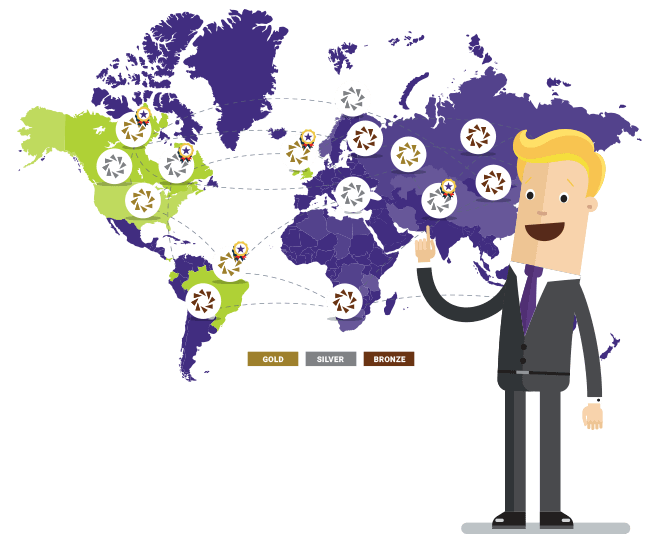 In the case of ‘Not for Resales”, Partner Demonstration or Market Seeding programs, the challenge is to ensure maximum participation in an evenly distributed way to ensure awareness of the offer, a well seeded market and partner adoption. As these programs are offered free, or at greatly discounted prices, it creates an opportunity for program abuse leading to instances of over subscription and undesired results. The inability to manage programs correctly leads to budget overruns, partner overstocking, lost revenue and worst of all an unevenly seeded market. Our unique technology offers a solution that eliminates program abuse through the channelIT entitlement functionality. We use channelIT to drive our EMEA wide Demo Purchase Program. The tool saves tremendous time in the go-to-market process for promotions (a promotion can be pushed out to the market in 1-2 days based on complexity...even faster) and the ROI is outstanding. We have used the channelIT tool successfully to order demo units with the VEV based process. The tool is very efficient and intuitive to use. Full recommendation for this functionality. It has proved very beneficial for us to use the channelIT tool. It is much easier for us as distributors to control and follow requests for demonstration equipment. The solutionIT module deals with the fulfillment complexities and discounting challenges associated with deploying multi-vendor solution bundles. The platform also provides real-time analytics on program performance so that ROI is measurable and programs can be adjusted to ensure best results. Using channelIT has proven very helpful when ordering demo units and gives clear information about remaining entitlements. channelIT allows us to work fast and efficiently, and is a key tool used daily by the sales department. The Motorola team would recommend the channelIT platform to any organization that wants to develop its channel because of its speed, effectiveness and ease of use. The Channel Mechanics team knows channels - and channel management - inside and out. This rich experience has been captured in a platform that removes the vast majority of operational hurdles faced by all of us who take offers to market through multiple channels. 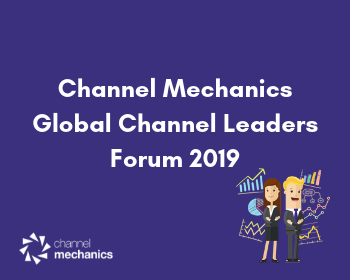 Channel Mechanics announce their inaugural Global Channel Leaders Forum, hosted at Testarossa Winery in Los Gatos on March 28th. 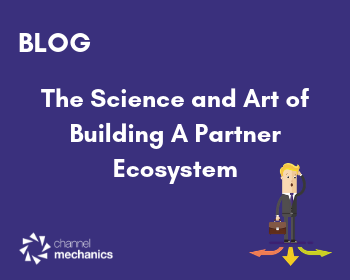 Building a good partner ecosystem is not an easy endeavor. Most alliance agreements between IT vendors have historically been of little value.